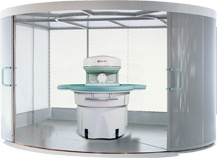 Vet-MR is the first Veterinary MRI system uniquely designed to bring diagnostic MRI excellence to small animal imaging with remarkable cost effectiveness and ease of use. The ability to offer animal MRI imaging on-site means you are able to offer a “one-stop shop” to your clients in order to diagnose and treat their animals in a more efficient and timely manner. Pet positioning is extremely fast using continuous visualization features. Pet monitoring is very easy as the animal is easily accessible during examination reducing any risk for the patient. Vet MR allows you to use existing anesthesia equipment. For a comprehensive evaluation of how Vet-MR can improve your bottom line contact a sales representative exclusively at Universal Medical Systems. 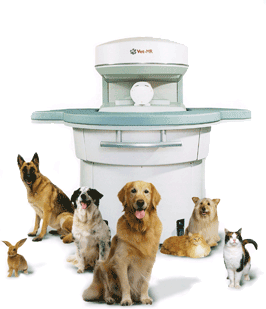 We are the market leader in providing affordable and convenient cutting-edge Veterinary imaging solutions, service & support.